Wordscraper (or was it Scrabulous at the time?) allowed/allows you to design your own board layout as well as the tile distribution. 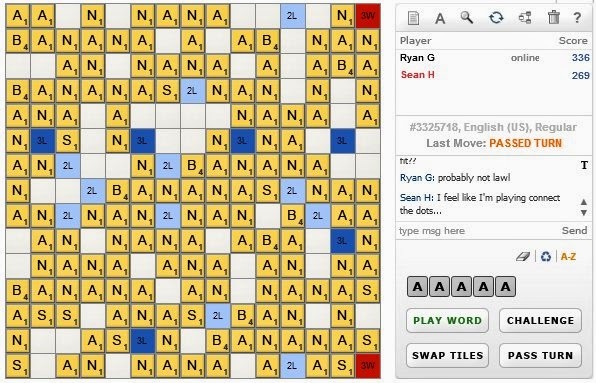 I challenged my friend to a game where the tiles were distributed in the same frequency as they are in the word "bananas". This was how it ended. Your comments will be printed and put on the refrigerator. Because I love you. The archive below only includes "Memes & Misc." content. Click here to return to the rest of What They Call Games.